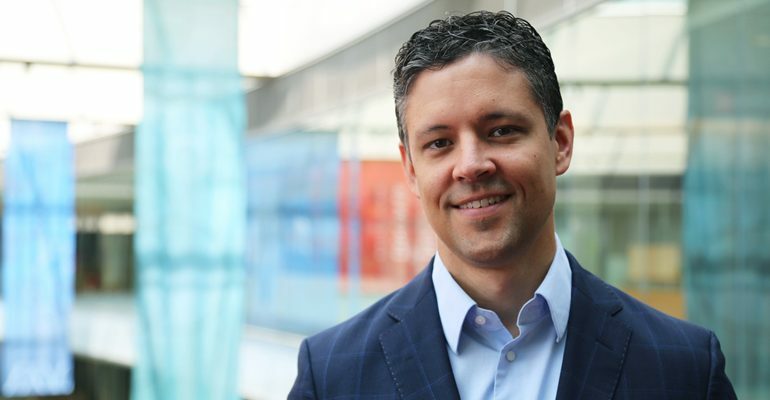 Pagliarini joins Morgridge from the UW-Madison Department of Biochemistry, which is home to some of the foundations of metabolism discovery, from vitamins and enzyme function to mitochondria’s role as a cellular engine. He emerged from a national search conducted this year and will help build community across as many as 200 UW-Madison scientists conducting metabolism related research. In partnership with UW-Madison, Morgridge leaders identified metabolism as an area of vast potential for growth and partnership. Known as the “chemistry of life,” metabolism is not only a core driver of how cells survive or falter, but is linked to debilitating diseases such as diabetes, Alzheimer’s and cancer. As Morgridge’s metabolism director, Pagliarini will be charged with hiring cutting-edge new research talent, creating a central hub for collaboration across the field, and ensuring core campus research facilities and technologies reach their fullest potential. Danielle Lohman, NIH Biotechnology Trainee and NSF Graduate Fellow, prepares samples in the Pagliarini biochemistry lab. Brian Fox, chair of UW-Madison biochemistry, says Pagliarini has the talent and style to thrive in this position. He made a big impact early as an assistant professor, Fox says, as part of a National Institutes of Health Protein Structure Initiative. Pagliarini co-directed the NIH Mitochondrial Protein Partnership and, in conjunction with his lab’s other efforts, quickly became a nationally recognized leader. Pagliarini joined UW-Madison as an assistant professor of biochemistry in 2009, and was appointed associate professor earlier this year. He received his PhD in 2005 in biomedical sciences from the University of California-San Diego and did his postdoctoral training at Harvard Medical School until 2009. His research centers on the composition and function of mitochondria, tiny cellular structures at the heart of metabolism and energy production. The Morgridge Institute is a private, nonprofit research institute dedicated to studying biology across the lifespan to benefit human health. Metabolism is the latest in five core research areas housed at Morgridge, including regenerative biology, virology, medical engineering and advanced computing. Morgridge also has focus areas in bioethics and postdoctoral training, and an extensive science outreach program that reaches more than 40,000 participants annually.